LOCATION: Stones Bay, Stuart Lake. Directions: Approachable via Stones Bay Road out of Fort St. James, a community this is 60 km north of Vanderhoof on Highway 27. The closest international airport is located in Prince George which is 160 km. southeast of Fort St. James Second cousins and “Stone women” Fabienne Filteau and Gillian Wigmore published books simultaneously in 2014. Stone women are connected through summers spent at the family cabin under the shadow of Mount Pope, at Stones Bay on Stuart Lake. Filteau and Wigmore are grand-daughters of Margaret and Helen Stone, born in 1917 and 1918. While Gillian (Jill) Wigmore released Orient from Brick Books, Fabienne Calvert Filteau released Second Growth from Creekstone Press. 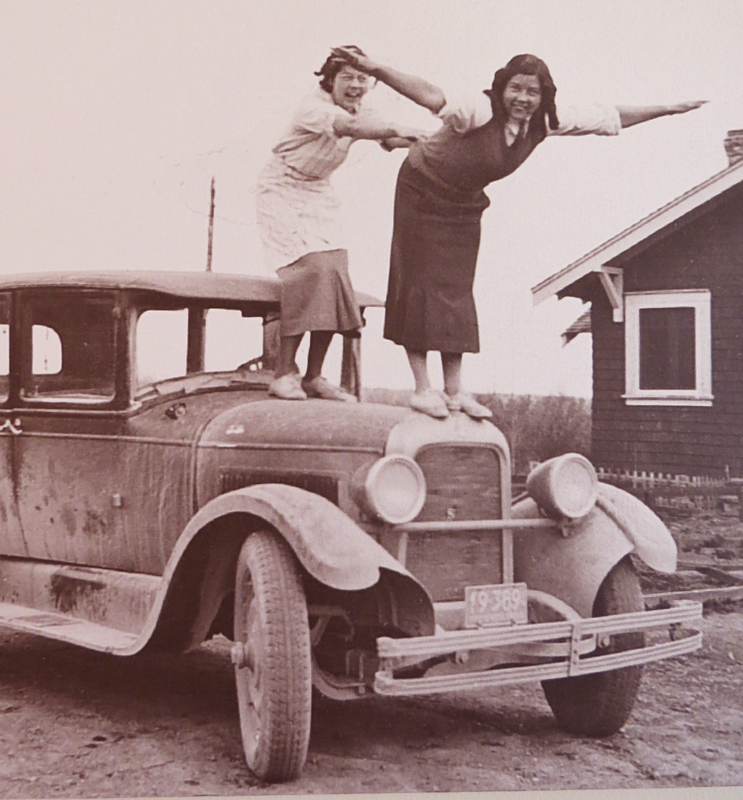 Margaret and Helen Stone on hood of car. Wigmore and Filteau began to feel more like equals in the summer when Filteau was 19. “That might have been the first time it was possible to approach each other as peers,” says Wigmore. “I realized we were kindred spirits and we stayed up all night talking in the old cabin; it’s like the conversation has never stopped.” The Stone family cabin was built by their great-grandparents in the late ’20s. “Whenever my dad spoke about the cabin, such a sense of love was connected with it,” Filteau says, “Of all the places I’ve lived, it’s the one that feels most like I belong there.” The bond between second cousins was strengthened when Fabienne started tree planting. “My summer pilgrimage to the bush always involved a stop at Jill’s house in Prince George. Her space became my summer retreat from planting.” By that time, Wigmore had two children. “Fabienne was like this breath from the outside world because I was really cloistered with the kids when they were little. And then to read her work and realize she was having this intense relationship with the landscape like I was, only I was doing it differently.” Fabienne spent nine summers tree planting while Jill and her family spent every moment they could hiking, skiing, canoeing and camping. 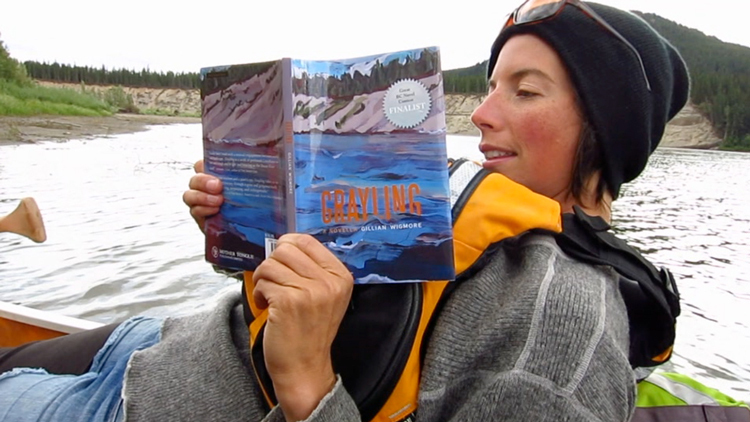 A trip down the Dease River led to Jill’s novel Grayling, one of the books Fabienne took with her when she and her partner canoed the river in the summer of 2014. While Orient is Wigmore’s fourth book, Second Growth is Filteau’s first. Her experiences tree planting contributed pivotal poems to the work; family relationships are also central to both women’s work, relationships nurtured by vacations at Stones Bay. what is it with us water girls always looking to be clean exercising real hard then jumping in the water… “We come from generations of people who have moved a lot—so travelling great distances and coming together across them has been something we’ve all carried,” Wigmore says. Fabienne moved north with her partner Greg Horne in 2013 after finishing her creative writing degree from the University of Victoria. Once there, she found out about the early connections. “I felt a tug for this place and think of the connections passed on through ancestry—walking and looking up at that mountain and thinking, wow, they did that, too.” Her work in perinatal care doing outreach and support for expecting families is another connection. That first daughter, Margaret Marion, got a nursing degree at the University of Alberta and played hockey on the varsity team. Fabienne, who rowed competitively at University of Victoria, is an inch taller than her 5’11” grandmother. Margaret served in the army as a nursing sister during the war, married in 1952 and eight years later, a widow with two sons, moved to Prince George where she worked as a public health nurse until she retired in 1979. Fabienne’s poem “Slim” is a vivid portrait of a woman comfortable in the bush: She wakes in washed-out light, her fly rod caught in the door screen. Tree-bodied woman, moose-toothed woman, her skin has thinned to ash. She opens the woodstove to embers gone blank, her feet brush the floor with their numb toes lolling, she says, This goddamn century has turned me to paper. Century of euphemisms. Her fly rod casts a blazing opus of curses at the sky. The last light scarlet. Wigmore’s relationship with her much-shorter grandmother, the second sister, was more immediate because they lived in the same community. “I ran away from elementary school twice and both times I went to Nana’s house and she never told anyone! She just let me be with her while she knit and I beaded or coloured or read and she got me back to school on time for the bus.” Both poets feel a connection to the North. “We both have a deep belief in representing this place—these different voices coming out of the North are important and it feels so good to be doing it in tandem,” Jill says. Fabienne agrees. “I feel as though a part of me is always writing to the conversation, the dialogue between us—Jill reminds me that we’re travelling together. 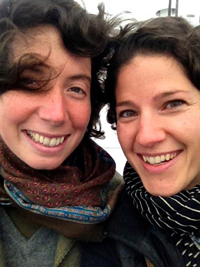 “We’ve shared, swapped and critiqued … and there’s so much beauty in sharing. I feel ever egged on by Jill in the best way—she’ll ask me what I’m up to and she’ll sit me down and I’ll submit poems to journals right in her living room.” The parent cousins are very close, Jill says, and both households are literary ones. “It was just in the air.” The arc of writing is carried right through Jill’s life. While working on her master’s in creative writing, she was coordinating the Nechako branch of the Prince George Public Library. Fabienne has worked at many jobs that rooted her in the physical world. “Writing is a way of showing myself how I understand the world,” Fabienne says. “Second Growth looks at the connection between human emotional experience and how that is externalized in the world—an ongoing reflection between the self and place outside of self.” In 2012, Gillian Wigmore published a poem for Filteau called ‘Water Girls,’ from her book called Dirt of Ages. what is it with us water girls always looking for the current in the current, the secret in the water that is the water… Like their grandmothers, both young women are strong-willed and determined. The final lines in “Water Girls” emphasize their willingness to dive into whatever they do wholeheartedly—like their grandmothers before them: …step in, the undertow won’t hurt you you’ll get to love the pull, you’ll get to aching for that pulling, til you’re lying face up in a whirlpool, laughing at the sky. 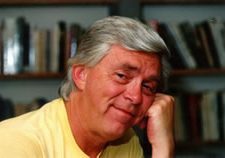 Sheila Peters of Creekstone Press originally wrote much of this article for NorthWood magazine. At the time, Sheila Peters was hosting a Smithers Community Radio Show called In the Shadow of the Mountain on CICK 93.9 FM.